Update: I was a day early, here's the full list of movies for 3-D Double Vision movies playing. 2nd Update: Got an e-mail update from LACMA on the festival with there list of all the screenings. Check them out here. And as they so eloquently put it, the films are, "Presented in partnership with the American Cinematheque, this off-site film series highlights both classic 3D films of the 1950s and 3D horror and science fiction films of the 1980s." I don't think they even released press about it yet, but I'm seeing listings for a range of fun and pure trash 3D films co-presented by LACMA for their new exhibit 3-D: Double Vision. 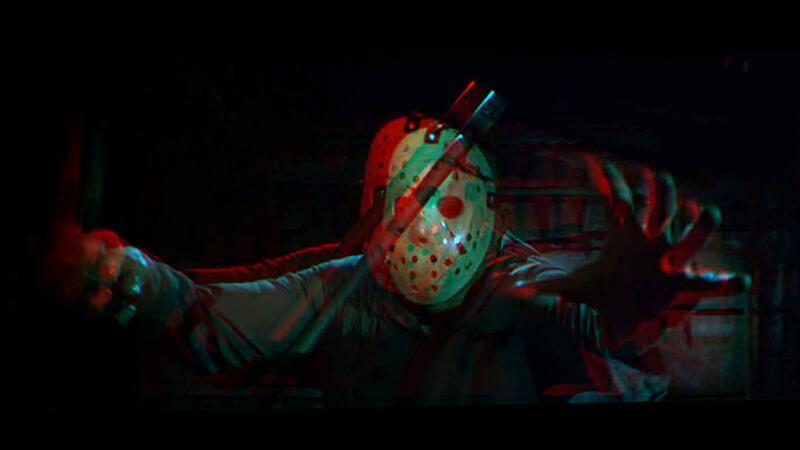 The series of films at the Aero and Egyptian is also called 3-D: Double Vision and features the double feature FRIDAY THE 13TH PART III / FRANKENSTEIN’S BLOODY TERROR and starts with AMITYVILLE 3-D, starting this August. There's more listings, so check their site. We"ll report full details when we get a press release. But, it's fun to see LACMA being playful with their 3D exhibit. Here's our review of the exhibit you can still check out at LACMA, it just opened.